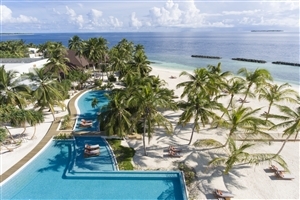 Feel the soft sands beneath your feet as gentle waters ebb across the shoreline at this stunning Maldivian paradise that is sure to leave you breathless. 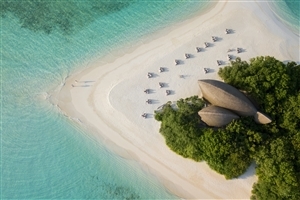 The Dhigali Maldives sets the tone for what is sure to be an unforgettable holiday experience in one of the world’s most peaceful settings. 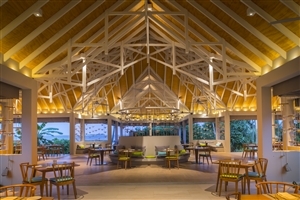 Nestled alongside the tropics of the Raa Atoll, the resort is designed to ease travellers into a world of rest and relaxation with its plush-filled accommodations, in-house dining venues and numerous soothing facilities. 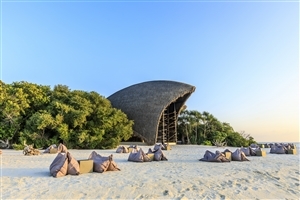 Whether you’re looking for some time away from the hustle and bustle of everyday life or seeking something with a touch of romance to ignite your passions, the Dhigali Maldives is the hotspot for you. 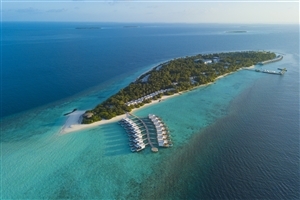 Settled amongst the verdant tropics and the soft, white sands of the Raa Atoll, Dhigali Maldives serves as a luxurious getaway that brings together the splendour of the Maldives and modern conveniences to create an oasis of unbridled comfort. 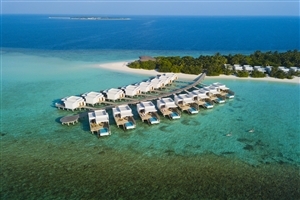 Designed with the utmost care and consideration to entice even the most discerning of travellers, the resort represents everything that sets the Maldives apart from the rest of the world. 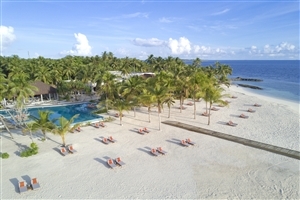 Ease back into one of the lavishly designed accommodations, tempt your palate with the in-house dining options and enjoy the soothing facilities on offer during your time spent at this blissful, sun-kissed oasis. 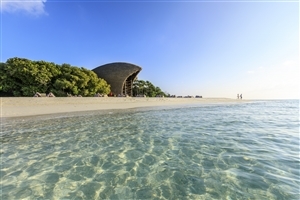 The Beach Bungalow offers guests 70sqm of accommodation space situated close to the shore for a heightened sense of convenience. 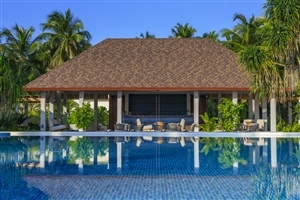 The bungalow features an expansive veranda fitted with sun loungers. 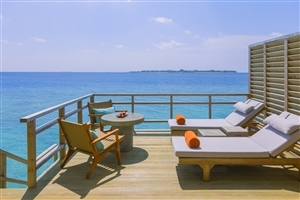 The Water Villa offers guests 85sqm of accommodation space situated on stilts over the lagoon to better showcase gorgeous views of the waters below and skies above. The villa features a sundeck fitted with loungers. 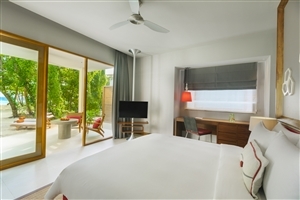 The Deluxe Beach Bungalow offers guests 85sqm of accommodation space specifically designed to enhance the occasion of romantic couples looking to hide away amongst the tropics. 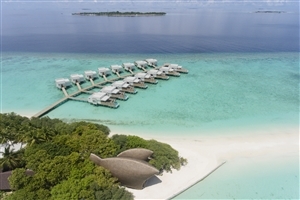 The Beach Villa offers guests 115sqm of accommodation space that exudes tranquillity with its setting amongst the exotic surroundings of the island. 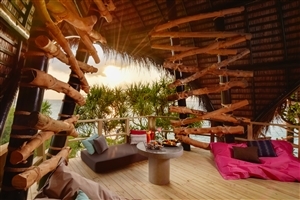 The villa features a deck that leads to the beach and comes fitted with a daybed and loungers. 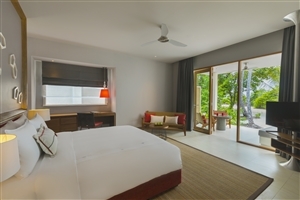 The Beach Villa with Pool offers guests 121sqm of accommodation space that exudes tranquillity with its setting amongst the exotic surroundings of the island. 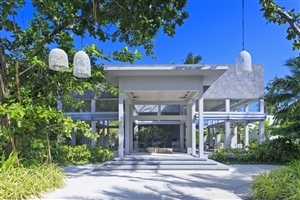 The villa features a deck that leads to the beach and comes fitted with a daybed and loungers as well as a private plunge pool that looks out towards the Indian Ocean. 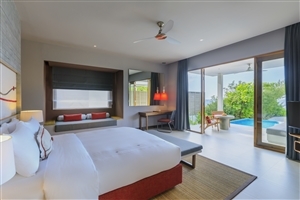 The Lagoon Villa with Pool offers guests 117sqm of accommodation space situated atop stilts so as to provide better views of the ocean beneath you. 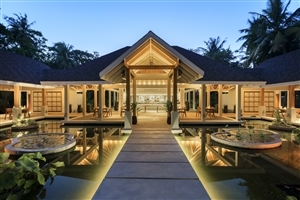 The villa features a deck that leads to the lagoon as well as a private plunge pool that looks out across the lagoon. 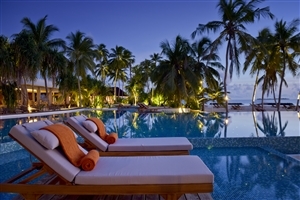 The Beach Suite with Pool offers guests 170sqm of accommodation space that sets the standard high for romantic escapes. The suite features a separate living area and an oversized, private plunge pool while also boasting of water views. 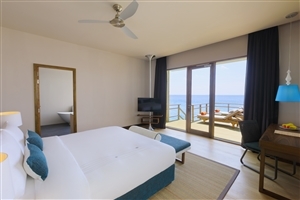 The Dhigali Suite offers guests 400sqm of accommodation space where luxury is all around and the splendour of the beach’s edge is yours to enjoy. The suite features a sundeck, a private courtyard, a private bar, butler service and an infinity pool that looks out over the Indian Ocean. Capers – Sample local and international flavours at this main restaurant. Jade – Select from international dishes, comfort foods and light bites at this all-day eatery. 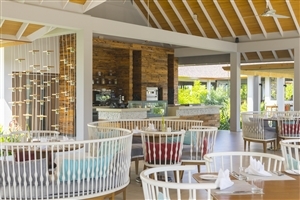 Faru – Tempt your palate with succulent seafood and frilled delights at this welcoming dining venue. Battuta – Treat yourself to the flavours of the Far East with the signature dishes of this eatery. Deli – Choose from a variety of light snacks and hot or cold sandwiches at this upscale deli with a twist. East – Ease back by the poolside with a refreshing cocktail and views all around. 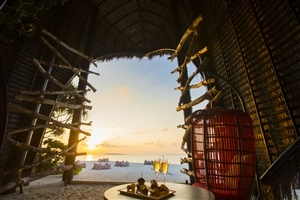 Haali – Rejuvenate with a cocktail while watching the sun set over the horizon.